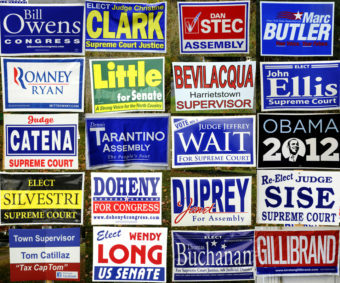 Did you ever wonder why you never see campaign signs for Alaska judges, like in other states? There are 33 judges on this year’s election ballot. Yet probably none of them are producing radio and television ads, putting fliers in the mail, or taking out ads in the newspaper promoting their credentials as a judge and asking to remain on the bench. And, for sure, Alaska judges never accept large campaign contributions from lawyers, lobbyists, and special interest groups. Susan DiPietro is the executive director of the Alaska Judicial Council. DiPietro said the code of conduct for Alaska judges prohibits them from campaigning unless they are attacked. Former Alaska Supreme Court Justice Bud Carpeneti said members of the Constitutional Convention sixty years ago wanted to isolate judges from election politics. Carpeneti said Tom Stewart, a territorial legislator and secretary to the Constitutional Convention, traveled around the country to research how other states did things. He came back with something called the merit selection plan or the Missouri Plan. DiPietro said 38 states use merit selection to fill some or all of their judicial vacancies. A non-partisan panel would interview and thoroughly vet judicial applicants, and then hold public hearings. The Governor would essentially be the political component representing the people while making the final selection from a short-list of best-qualified nominees. During retention elections held later, voters have a direct say on whether they think each judge is still doing a good job. “So, the Council’s process really starts a whole year in advance,” DiPietro said. The Alaska Judicial Council is the non-partisan panel responsible for putting all judicial applicants and sitting judges through a fine-tooth comb. DiPietro said the Alaska Judicial Council is recommending that all 33 judges on the ballot this year be retained. But voters won’t have to decide on each and every judge. They only have to consider the two Supreme Court justices, a Court of Appeals judge, and the Superior and District Court judges in their particular area or judicial district. Superior Court Judge David George, who was a private attorney in Juneau and Sitka before he was appointed to the bench in Sitka in 2007. Superior Court Judge Philip Pallenberg, who was a public defender in Kodiak and Juneau and a private attorney before he was appointed to the bench in Juneau in 2007. 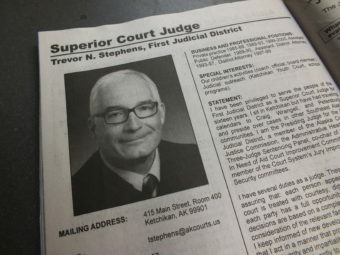 Superior Court Judge Trevor Stephens, who worked as a public defender and a prosecutor before he was appointed to the bench in Ketchikan in 2000. Stephens, also the presiding judge for Southeast Alaska, frequently travels to hear cases in many smaller communities. District Court Judge Thomas Nave, who worked in the Public Defender Agency as an attorney and deputy director, and as a private attorney before being appointed to the bench in Juneau in 2010. He presides over the Therapeutic Court which helps defendants overcome their addictions. Carpeneti, who served as a judge and justice for a total of 31 years, came up for a retention vote several times. Once a special interest group begins campaigning against retention of a particular judge – such as what’s happening with two Alaska Supreme Court justices on the ballot this year – then that judge can mount a defensive campaign. 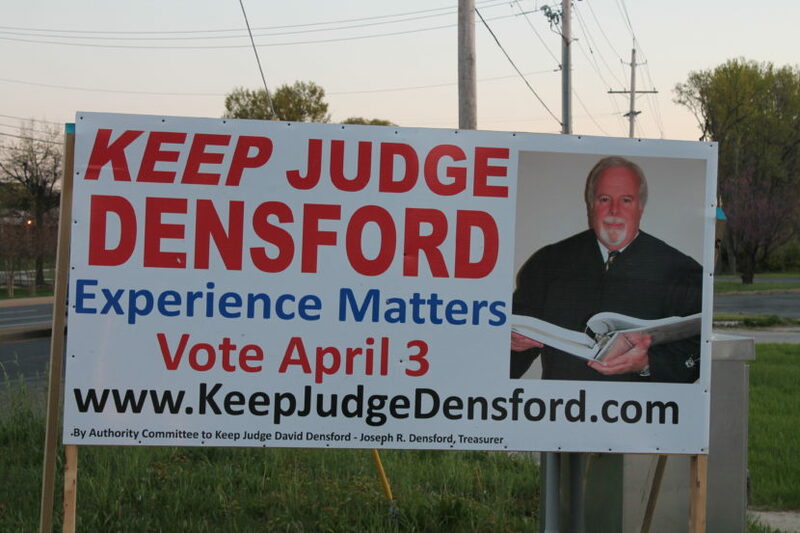 DiPietro recommended that voters consider each judge’s performance and body of work and not whether they agree or disagree with the outcome of a single case.